We offer LSSGB, PMP, PMI-ACP, ITIL Foundation, Big Data and Hadoop, Digital Marketing and other certification programs every month. 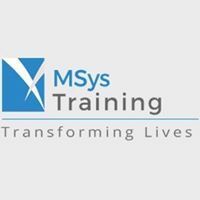 Visit www.msystraining.com, call 408-878-3078 or scroll down to view all dates. MSys Lean Six Sigma Black Belt Training program is designed and developed by Lean Six Sigma Experts to ensure that our participants pass the Lean Six Sigma Black Belt certification exam in the first attempt. Our lead instructors will give you an introduction to the tools, techniques and methodologies that will empower you to lead Lean Six Sigma projects.